Muscle twitching, lactose digestion, blood movement—what could possibly connect these body functions? You may be surprised to learn that all these processes and many more are driven by metal ions. Zhifeng Jine, Rui Qi, Chengwen Liu and Pengyu Ren, professors in the biomedical engineering department at the University of Texas at Austin, are working to quantitatively describe protein-ion interactions using what is called an atomic multipole optimized energetics for biomolecular applications (AMOEBA) force field. 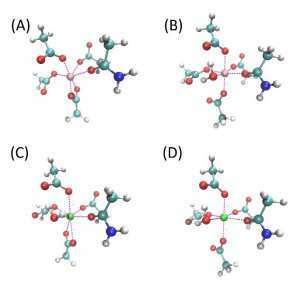 They describe their work in this week's the Journal of Chemical Physics. 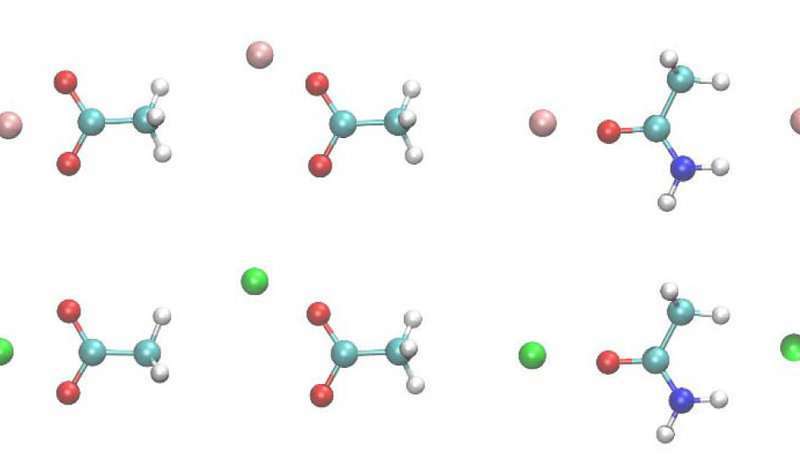 "The lack of detailed understanding is mainly due to the lack of accurate and yet computationally efficient models to treat metal ions," Ren said. "We aim to apply high-level quantum mechanical methods and advanced force field simulations to understand the nature of the interactions between metal ions and proteins." "This representation is simple enough to be computationally tractable, and it has been widely used over the last few decades," he said. "However, metal ions can lead to strong polarization and charge transfer effects, which are missing in these classical models. We believe these effects play [a] critical role in the specific ion-protein interaction." "The difference between the many-body response to Ca2+ vs Mg2+ in the binding pocket is substantial," said Ren. "It was known that polarization and charge-transfer are important in protein-ion complexes, but for the competitive binding, many have suspected that these effects might cancel out."